The outdoor crib at St Patrick's Church, Trim. And here's a Christmas Song from Bob. Brilliant! 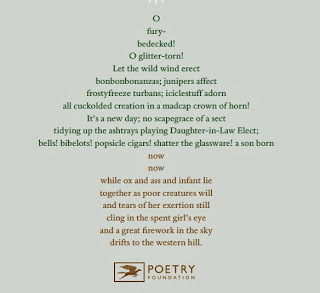 Also worth listening to is the Poetry off the Shelf podcast from the Poetry Foundation for Christmas called Poems to Fight Against the Dark. At the night of my recent reading at North West Words in Donegal, last year's winner of the Donegal Creameries North West Words Poetry Prize, Averil Meehan, returned the trophy. 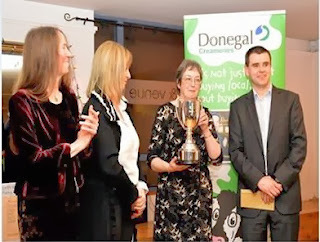 Picture: Averil receiving the trophy last year. Some very well-known names in there! 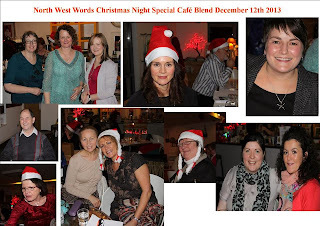 Winners will be notified in January and all shortlisted writers and winners are warmly invited to attend the prize-giving at North-West Words at 8.00pm on 30 January 2014, in Café Blend, High Road, Letterkenny. Under the direction of Poet Laureate Carol Ann Duffy – Professor of Contemporary Poetry and Creative Director of the Manchester Writing School at Manchester Metropolitan University – the school is launching the brand new Manchester Writing for Children Prize. The Prize is open internationally to both new and established writers aged 16 or over (there is no upper age limit) and invites the submission of a portfolio of poetry to be read by children within the age group of five to 12. Portfolios should contain three to five poems, totalling no more than 120 lines. The entry fee is £12 per portfolio of poems. Prizes include: Publication of selected pieces from long-listed entrants in a new anthology; an invitation to appear alongside Poet Laureate Carol Ann Duffy at a special event at the 2014 Manchester Children's Book Festival for the short-listed entrants; and a cash prize of £2,000 for the overall winner – to be announced at that event. Details on the website where you can enter online or download a printable entry form for postal submission. Deadline for entries: 28 February 2014. Judges: Mandy Coe, Imtiaz Dharker and Philip Gross (pictured above). 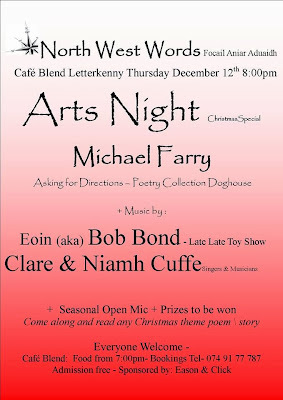 Last Thursday night's poetry reading in Café Blend, Letterkenny was one of the most enjoyable readings I've been at for some time. This North West Words Arts Night is a monthly event. Christmas decorations, lovely food, a sound system which worked perfectly, a most welcoming and efficient organising committee and a large and really lovely audience. I followed Eoin, a brilliant saxophonist, who performs under the name Bob Bond and appeared on the recent Late Late Toy Show and I was followed by singers and musicians, Claire and Niamh Cuffe, also a lot younger than me so I felt under pressure to represent the talent of the more elderly. I read for about twenty minutes, a selection of older poems and some new ones. The audience was great, reacting well to the humour and to the sadness which featured in the poems. I read my poem for my late sister, Ann, who once worked in Letterkenny as a telephonist. I also read a very recent one about my just arrived Australian grandson. I met a number of writers we had included in Boyne Berries and some I have met at prize givings, readings and festivals here and there in the country. I got good feedback on my reading and sold a large number of Asking for Directions. Thanks Letterkenny! The open mic was most enjoyable. 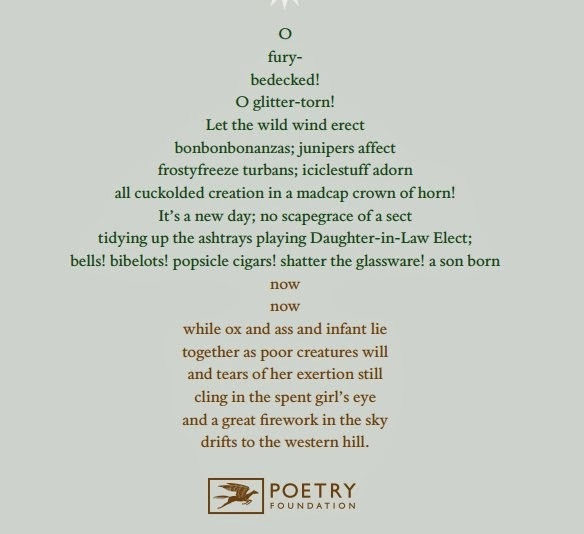 We had a very funny version of a well known poem re-titled The Fright before Christmas and we ended with a Robert Frost poem, Stopping by Woods, read by a relation of the Georgian poet Lascelles Abercrombie who was a friend of Frost. Letterkenny is a town well worth a visit. It has a great little second-hand bookshop called Universal Books and the Catholic Cathedral is a fine building designed by the same architect who designed Trim church, William Hague. The altars in both churches are also by the Pearses. I've taken the composite picture above from the North West Word Facebook page. I'm in the background of the middle top picture. Thanks again to all for the great welcome and hospitality. 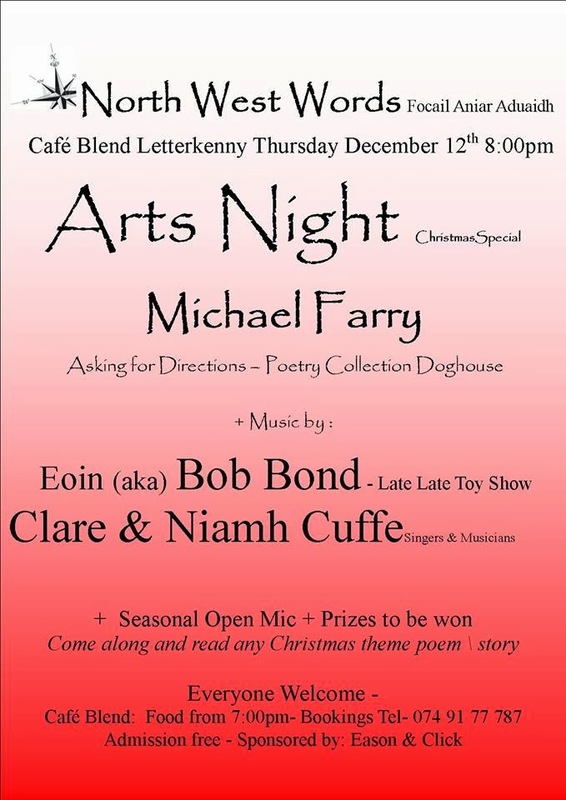 I'm really looking forward to reading at North West Words at Café Blend in Letterkenny, Co. Donegal tomorrow, Thursday 12 December at 8pm. This Christmas special will also feature music and song (not by me) by Bob Bond and by Clare and Niamh Cuffe. Admission is free; there is an open mic and there will be prizes. North West Words on Facebook here. I'll have to look up my few Christmas poems and choose others that fit in with the holiday mood. The Francis Ledwidge International Poetry Awards Ceremony 2013 will take place at Donoghues The Glen of Aherlow, 29 Emmet Road, Inchicore, Dublin on next Tuesday 10 December at 8.00 pm. All are welcome. This year, the fifteenth year of the competitions, there were entries from Canada, U.S.A, U.K. and Ireland. This is always a very enjoyable evening, a very friendly atmosphere and great poetry. Last year we celebrated a victory by a Boyne Writer, Evan Costigan. This year we are delighted that a LitLab member, Mairéad Donnellan, is the winner. And member Pat Devaney was commended as well! The Francis Ledwidge Award goes to Mairead Donnellan, Co. Cavan for her poem, Castlewellan Pillar Box. Second Place goes to Catherine Ann Cullen, Dublin 12 for The Shoe-Box Coffin, and third Place goes to Mary Guckian, Dublin 4 for Corsets. Highly Commended were: Neville Keery, Mary Turley Mc Grath, Adrienne Leavy, Elizabeth O’ Carroll, Louise Scott, Claire O Reilly, Liam Ryan, Susan Flynn, Kevin Murtagh and Davnet Heery. Commended were: Ray Mullen, Patrick Conniff, James Conway, Anne Mc Crudden, Aine Lyons, Patrick Devaney, Willie Joe Meally, Patrick Waters, Gearoid De Briotan and Ian Harman. Doire Press have made quite an impression in the recent past with their publication of many significant prose and poetry volumes. These include Deirdre Unforgiven, a dramatic work by Eamon Carr, End of Days, a debut short story collection by Aileen Armstrong, Consent, Kimberly Campanello’s debut poetry collection and Adam White’s collection Accurate Measurements which was shortlisted for the this year’s Forward Prize for Best First Collection. Doire Press launch their Fiction & Poetry Chapbook Anthology on Sunday 8 December, 7pm in Jack Nealon's Pub in Capel Street, Dublin. The launch will feature readings by Alvy Carragher, Maurice Devitt, Mairead Donnellan, Susan Flynn, Paddy Halligan, Robert Higgins, Maeve Mulrennan, Máire T. Robinson and Shane Ward. Two of our LitLab members, Mairéad Donnellan and Paddy Halligan, are included as a result of their collections being shortlisted for the Doire Press poetry and fiction competitions. The 2014 Prole Laureate poetry competition is now open for entries. Prizes: Winner: £140, Publication in Prole 13 in April 2014. Publication on the Prole website. Judgeis Kate Noakes. Kate is an elected member of the Welsh Academi. She has taught creative writing for Oxford University. Her most recent collection is Cape Town from Eyewear Publishing (2012). I-spy and Shanty is forthcoming in 2014 from corrupt press. Her poem ‘Snow light’ was selected by Carol Ann Duffy for her Poetry Corner in The Daily Mirror in January 2010. She won the Owen Barfield Poetry Prize in 2009. Competition entries open from Oct 7th 2013 to Feb 1st 2014. Winners will be announced in issue 13 of Prole in April and on the website by April 20th. Fees: £3.00 for first entry, £2.00 for any subsequent entries. Preferred entry via the website and email. Fee can be paid by PayPal. 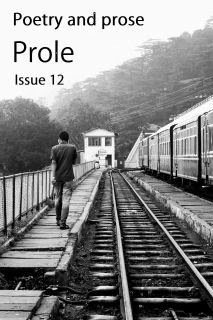 Issue 12 of Prole magazine has just gone on sale and the group has just launched Wendy Pratt’s first poetry collection: Museum Pieces. Details on the website. 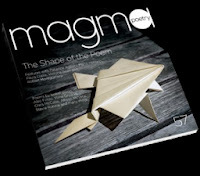 The closing date for Magma’s 2013 Poetry Competitions is 12 December 2013. For a poem of 13 to 80 lines. All poem entries of 13 to 80 lines will be entered for the Judge’s Prize which this year will be judged by award-winning poet Philip Gross. 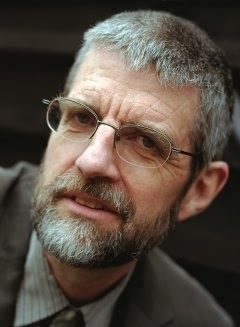 Philip Gross is Professor of Creative Writing at the University of Glamorgan. He won the 2009 T S Eliot Prize with The Water Table (Bloodaxe) and the 2010 Wales Book of the Year award with I Spy Pinhole Eye (Cinnamon). As part of the prize, all 15 winners will have their poems published in our Spring Issue 2014 and be invited to read alongside Philip Gross at Magma’s prize-giving event early next year. The Magma website has full details and online entry. 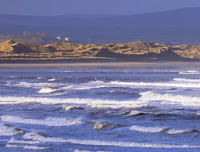 I'm attending the second Shore Free Writers' Festival for young and emerging writers - 1 -3 November 2013 in the Ocean Sands Hotel, Enniscrone, Co. Sligo. I qualify as emerging but not as young! I'm involved in the opening night readings at 8pm along some very talented writers including Máire T. Robinson, Rob Doyle,Patrick O’ Flaherty, Laura Jane Cassidy, Elaine Cosgrove and Stephen Murray. Open mic slots are available, register on the night. Event hosted by Karen Maloney. More information on Facebook and the full programme is online here. Labels: Co. Sligo; Máire T. Robinson, Elaine Cosgrove, Enniscrone, Laura Jane Cassidy, Patrick O’ Flaherty, Rob Doyle, Shore Writers Festival; Ocean Sands Hotel, Stephen Murray. 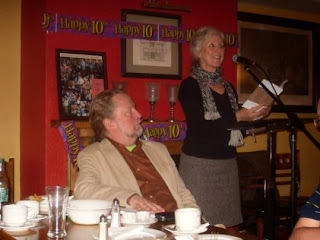 I attended the third and final launch of the Doghouse anthology Ten Years in the Doghouse yesterday in Stoker's Lodge, Tralee. The afternoon started with a Poets' Corner celebrating the 21 years in existence of this group which holds a reading and open mic in Tralee every Bank Holiday. A large number attended and the event was expertly managed by M.C. Tommy Frank O'Connor, himself a Doghouse author. Then the Doghouse launch. 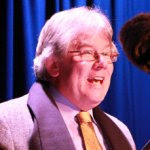 The celebration of ten very productive years turned into a wake when the chairman, Peter Keane, announced that Doghouse were ceasing publishing. This took the audience, many of whom have been published by Doghouse, by surprise but like an Irish wake, it turned into a celebration. Doghouse have done a wonderful job, have published some beautiful books and have been an important publishing outlet for many Irish poets. Noel King has been a most diligent editor, a pleasure to work with. Doghouse will still be selling their books for some time so go to their website, look at their wares and make a purchase. The anthology is especially good, containing a short selection from almost every poet published in the ten years of operation. I think eleven of those poets attended on Monday and read their poems. Well done Doghouse, you will be missed! Pictures: Top: Noel King, Doghouse editor, displaying their range of titles. Below: Doghouse author, Áine Moynihan, reading at the launch with Noel King in pensive mood. Labels: Ten Years in the Doghouse; Doghouse Books; noel King; Aine Moynihan; Peter Keane; Stokers Lodge; Poets Corner Tralee. On Bank Holiday Monday, 28th October 2013, Doghouse Books presents the third and final launch of TEN YEARS IN THE DOGHOUSE, an anthology of poems by DOGHOUSE poets. Many of the Doghouse poets featured in the anthology will attend and there will be special offer on all Doghouse books on the day. Time: 5pm. Admission free. Refreshments will be provided. All welcome. Earlier on the same day and in the same venue the Bank Holiday Monday Poets' Corner, Tralee celebrate their 21st Birthday, 3pm to 5pm (drop in at any point) Stoker’s Lodge, Oakpark Road, Tralee. 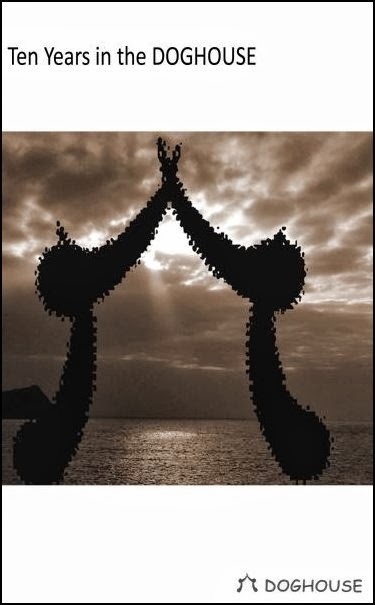 The Festival also welcomes poets from its partner festivals, which this year is extended to Italy. Veronika Dintinjana (Slovenia), John Davies (UK), and Marco Viscomi (Italy) will be bringing their talents to Limerick. The lunchtime readings at the Hunt Museum feature Ron Carey (Thursday) and Kerrie O'Brien (Friday). Other events include screenings of poetry films, an open mic session, a varied programme for schools, and the Young Poet of the Year Award. In addition, the yearly poetry anthology The Stony Thursday Book, edited this year by Paddy Bushe, will be launched at the festival. 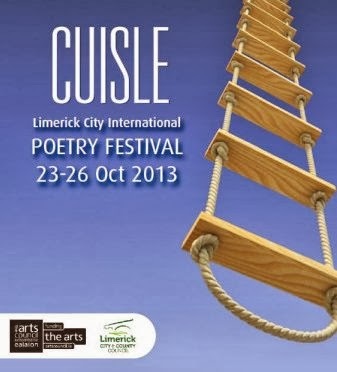 "The Cuisle Limerick City International Poetry Festival is dedicated to poetry in all its forms and varieties, featuring the best of local, national, and international poets," explained Sheila Deegan, City Arts Officer. The Cuisle Limerick City International Poetry Festival will be formally launched, today, Wednesday 23 October and will run from Thursday 24 to Saturday 26 October. Poets are invited to submit between twelve and sixteen pages of poetry, with no more than forty lines per page, excluding title and stanza breaks. The submission must be the original work of the author. 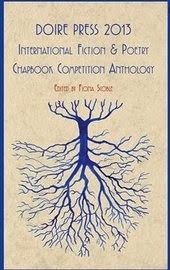 It must not have been previously published as a whole, but may contain individual poems published in other publications such as magazines or anthologies. Postal and online submissions welcomed from anywhere in the world. 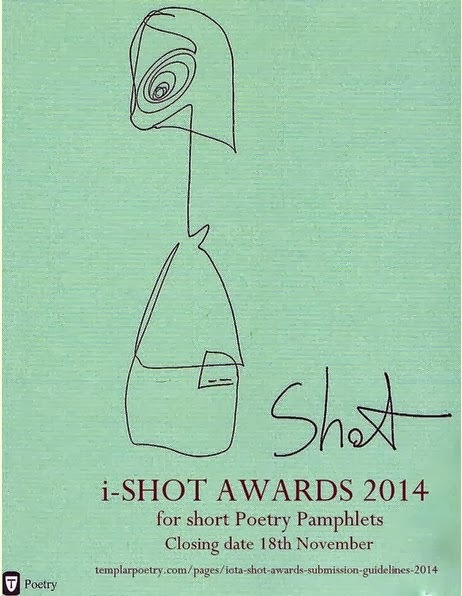 The winning writers will be notified in February 2014 and iOTA shots will be published in early summer 2014. There will be two or three pamphlets published. Templar Poetry will collaborate with individual writers to promote their pamphlets at live events where this is possible. The winning pamphlets will be advertised and sold on the Iota website, the Templar Poetry Bookshop website, in our retail stockists and at live events and book fairs. Submissions are invited from both new and previously published poets. Full details of this festival, which takes place 12 - 15 February 2014, will be available on the website by early January. Details of two associated events are available. A poetry masterclass with Jo Shapcott will run for four mornings during the Cork Spring Poetry Festival, 12 - 15 February 2014. Pre-requisite of recent publication in a professional literary journal. Price €200. More info on the website. The Gregory O’Donoghue International Poetry Competition is now open for entries! 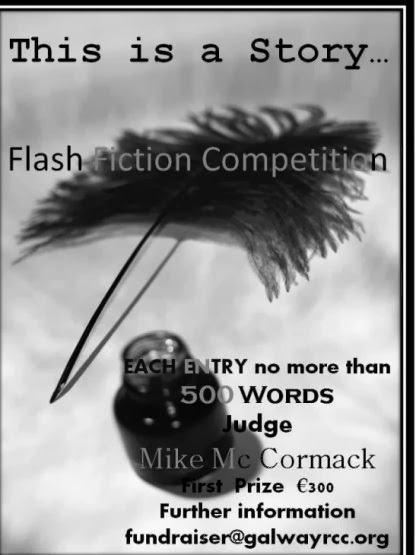 First prize: €1000, a week’s residency at the Tyrone Guthrie Centre, publication in Southword Journal, and the chance to read your work at the Cork Spring Poetry Festival. Two more cash prizes will be awarded, plus publications for 10 runners up in Southword Journal. The entry fee is €5 per poem or €20 per batch of five. Judge: Patrick Cotter. Deadline: 15 December. Full details here. This is a great annual competition run by those dedicated members of the Inchicore Ledwidge Society who have done so much to keep the memory and works of the Meath poet to the fore. There is also a wonderful presentation and reading night in Inchicore. I've been lucky enough to be short listed a few times and always attend if at all possible. 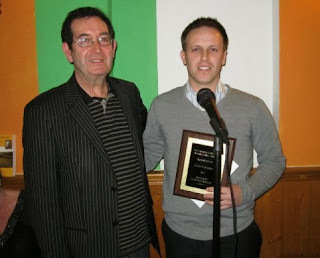 Last year's winner was Boyne Writer Evan Costigan, pictured above with Liam O'Meara of the society. This year’s closing date is 5 November. In addition, the winner will be invited to read at the annual Francis Ledwidge Commemoration at the National War Memorial Gardens in July 2014. Poems must be the competitor’s own work, not previously published or broadcast. Poems should not exceed 40 lines of type. € 4 per poem, 3 for €10. Name and address and telephone number on a separate sheet. S.A.E. or Email address for winners list. Poems will not be returned. Winners will be notified and results will be announced at the annual awards night. Enquiries 0858497531: check out the Inchicore Ledwidge Society Facebook page. Prizes: Not just the £2,500 top prize but twenty-two more prizes plus Troubadour season tickets. Prize reading: The chance to read your prize-winning poem at the Troubadour alongside George, Deryn and fellow prize-winners at our December prize-celebration. Paying Attention invites you to slow down and connect with your own creativity. The workshop introduces examples from short stories and poetry as well as simple mindfulness techniques to lead you into writing. Where? Oscailt, 8 Pembroke Rd, Dublin 4. http://www.oscailt.com/ for map. Free parking. Close to city centre. I judged the Quilt A Poem Competition, sponsored by Cara Pharmacy and Beauty which was part of Bailieborough Poetry Festival. We were delighted with the response to this competition and the number and quality of the entries. It was a difficult task to pick a shortlist and a winner but I enjoyed the challenge. The standard was very high, I can now see why I fail in some many poetry competitions. I was impressed by the number of poets who started from scratch and came up with a great poem based on a quilt in the relatively short time involved. 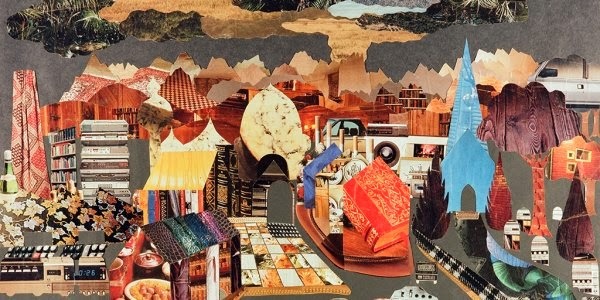 It was clear also that some found a poem already written which chimed with something in a quilt and entered it. No problem with that either. The variety of approach was also impressive. Some wrote of the process of quilting, created a story behind the quilting or made quilting a metaphor for something else, including for writing a poem. I created a longlist of about seventeen fairly easily but cutting that down to ten was difficult with various poems entering and leaving on each new reading. One poem did stand out at this stage and it became the winner. And the winner was Annette Skade from west Cork for her poem Wedding Quilt. Pictured above with Paddy Halligan, chair LitLab, and myself. The results are here on the website and the winning and highly commended poems are on this page. Paddy Smith, LitLab member, videoed the prizegiving and has uploaded the proceedings onto YouTube. 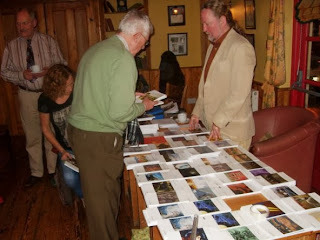 Search for Bailieborough Poetry Festival in YouTube to find them. The one thing I haven't had the courage to do yet is look at the full list of those who entered. I'm there are many well-known poets and friends among those. Maybe better not to know! I'm giving a talk on Sligo 1913 for the Yeats Society at the Yeats Memorial Building Hyde Bridge, Sligo at 8pm on Thursday 10 October. All welcome. I'll be talking about the excitement and apprehension at the approach of Home Rule, about the successful Sligo Strike and the importance of labour in Sligo town politics but also about the All Red Route, the SS Liverpool, the Rink Picture Palace and 'Before the Dawn in Erin'. Speaking in the Yeats Building I can't ignore the Yeats brothers of course. In 1913 Jack exhibited in the famous Armory Show in New York and W B published September 1913 in the Irish Times - For men were born to pray and save. But less than an hour to speak so a little bit of everything I think. 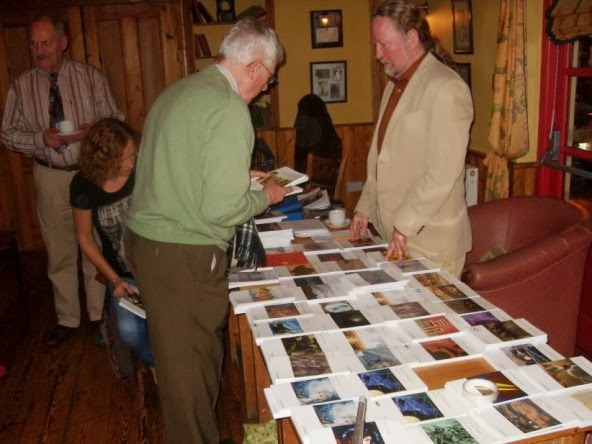 The first Bailieborough Poetry Festival on Friday and Saturday was a great success. Friday night's launch of the anthology by Nessa O'Mahony with readings by the LitLab members, Nessa and anthology editor, Barbara Smith was a most enjoyable, well attended event. The venue, Bia Restaurant, Bailieborough, was perfect, the food was very good, the MC Paddy Smith had some wonderfully bad puns in his introductions and the audience responded very well to the various tones of the readings. The anthology is called Under a Thrupenny Moon and should be available for purchase online at the festival website soon. Nessa's workshop on Saturday morning, which focused on imagery, had twelve participants all of whom responded enthusiastically to Nessa's thoughtful and challenging exercises. She conducted the workshop with her customary enthusiasm, friendliness and professionalism. The scones and jam were also much appreciated! 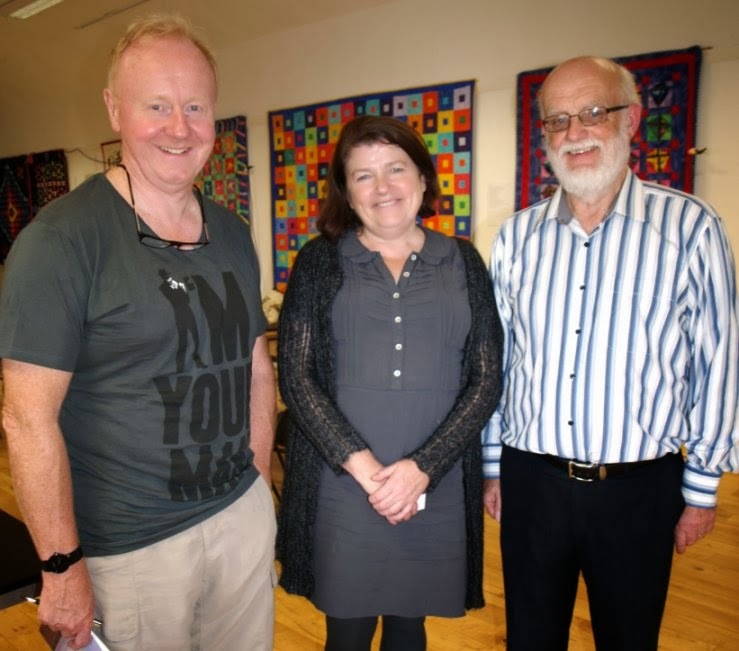 In the afternoon we announced the winner of the Cara "Quilt A Poem" Competition in Bailieborough Library where the quilts involved, the work of Mary Halligan were hanging. Having only previously seen the quilts on the internet everyone was impressed by their physical presence. 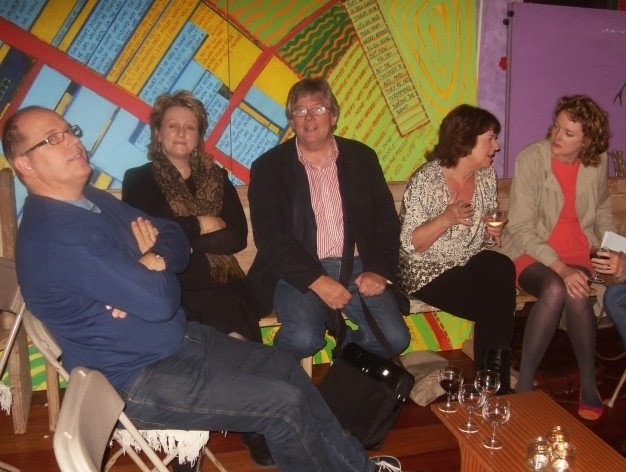 Four of the short listed poets attended, from Dublin, Fermanagh, Cork and London. They read their poems and LitLab members read the other shortlisted poems. 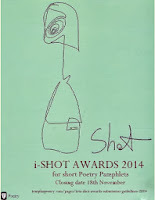 I spoke of the experience of judging, what I was entranced by in the poems and made a short comment on each poem. The competition winner was Annette Skade from West Cork for her poem Wedding Quilt. Well done Annette! She won the Cork Literary Review Poetry Manuscript Competition in 2012 and her winning collection, Thimblerig, has been published by Bradshaw Books. Above: Annette with LitLab chair, Paddy Halligan and the competition judge. The final event was the Poetry by Candlelight readings in the Wesleyan Chapel. Another wonderful atmospheric venue with a great audience of local and a group who has traveled from Kells and some fine musicians who entertained the gathering crowd. The three readers, Heather Brett, Rebecca O'Connor and Noel Monahan, pictured above, were polished performer who delivered their well-crafted work with great assurance and the audience enjoyed the event greatly. So that's it! Thanks to all who helped, to Poetry Ireland who funded readings, to the sponsors especially Cara Pharmacy and Beauty who sponsored the competition prize and well done LitLab. Some members are even talking about next year's festival already! 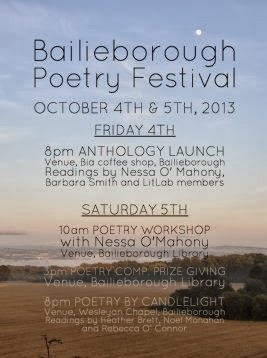 And next it's Bailieborough Poetry Festival which starts tonight. The LitLab group of writers are hosting a weekend of readings, workshops, a poetry competition and launch of a new anthology of the group’s work. This evening sees the official opening of the Festival in Bia Restaurant, Bailieborough, poetry readings by Nessa O’Mahony and Barbara Smith. Nessa will also official launch the anthology of LitLab members work, edited by Barbara. 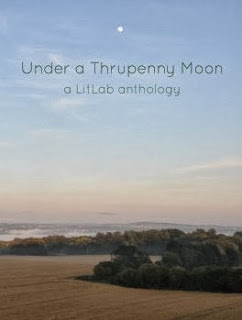 The anthology is entitled Under a Thrupenny Moon and contains a selection of prose and poetry by ten LitLab members. 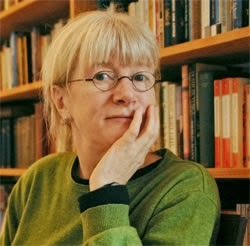 Saturday sees a poetry workshop in the Library at 10am facilitated by Nessa O'Mahony - still some places left on this. At 3pm the prize giving for the Cara Poetry Competition will take place with readings of the ten shortlisted poems and the announcement of the winner. In conjunction with the poetry festival there is a quilt exhibition hanging in the arts space of the library. The Festival concludes on Saturday evening in the Wesleyan Church with Poetry by Candlelight. Poets, Rebecca O'Connor, Heather Brett and Noel Monahan will read and there will also be music. Should be a good weekend. Boyne Berries launched, now for All-Ireland Poetry Day! 12 noon: Laracor Graveyard F.R. Higgins. 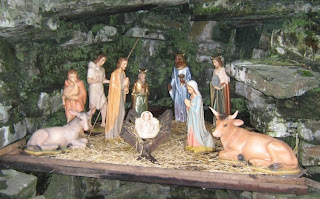 1pm St. Patrick’s Cathedral, Trim Jonathan Swift. 4pm Ledwidge Museum, Slane Francis Ledwidge. 5pm O’Reilly Memorial, Dowth John Boyle O’Reilly. Boyne Writers Group, Trim, are marking All-Ireland Poetry Day on Thursday 3 October by holding a series of short readings celebrating the poetic heritage of Meath at places associated with well-known Meath poets. Two of the poets are Meath-born and two others spent many years in the county. At each venue there will be readings from the works of the featured poets. People are invited to attend at any or all of the venues, to listen to the poetry, to join in by reading their own favourite poems either by the featured poets or by any other poet irrespective of county or country of origin. At 12 noon they will read at the grave of F.R. Higgins in Laracor Graveyard. Higgins was a native of Foxford, Co. Mayo but spend much time around Trim. He served on the board of the Abbey Theatre from 1935 until his death in 1941. His Father and son: Selected Poems has recently been published by Arlen House. Then on to Trim where at 1pm they will celebrate the poetry of another “blow-in” to Meath, Jonathan Swift, at St. Patrick’s Cathedral, Loman Street. Though more famous for his satiric prose Swift also was a prolific poet and his poetry often has the same sharp wit. 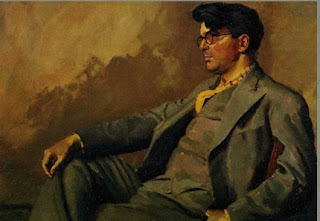 At 4pm there will be a reading in the Ledwidge Museum, Slane to remember the most famous Meath poet, Francis Ledwidge. Sometimes known as the "poet of the blackbirds", he had not reached the age of 30 when he was killed in action at the Battle of Passchendaele during World War I. Finally the group will congregate at the John Boyle O’Reilly Memorial, Dowth at 5pm to read some of the poems of the Dowth born poet, journalist and fiction writer. 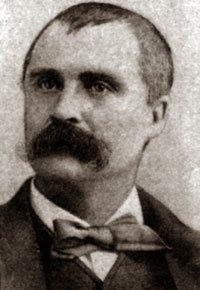 As a youth in Ireland, he was a member of the Irish Republican Brotherhood, or Fenians, for which He was transported to Western Australia as a Fenian but escaped to the United States, where he became editor of the Boston Pilot newspaper. A most enjoyable launch last evening in the Castle Arch Hotel. We had, I think, the largest number of contributor-readers ever. Paddy Smith, our chairman, made everyone welcome and introduced our guest editor who also launched the issue. Paddy's introduction was his usual mix of seriousness and fun, setting a nice tone for the evening. Be careful what personal details you mention on Facebook - they may be used in a Boyne Berries introduction! Kate then spoke about the experience of editing blindly. She mentioned her fears - omitting friends and well-known writers - and told us how carefully she read each of the three hundred or so submissions. She discussed what got a piece omitted and what ensured selection. She stressed the importance of spelling, grammar, punctuation, knowing where to start and finish, creating something fresh and new, including the unexpected, the off-beat, the memorable line. Then we had the readings - twenty or so, mostly from the Leinster area but some from further afield, Galway for instance. A great mixture of prose and poetry, varied topics including the light-hearted as well as the tragic. 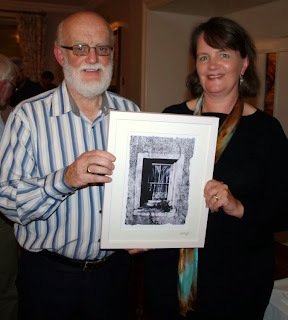 We ended the formal proceedings by presenting Kate with a framed print of Greg Hastings' cover image. And the chat afterwards over tea and coffee is a vital part of the event. Thanks to all who submitted, to those who attended and read on the night and to those who would have loved to be there. Next launch March or April 2014! It's ready! 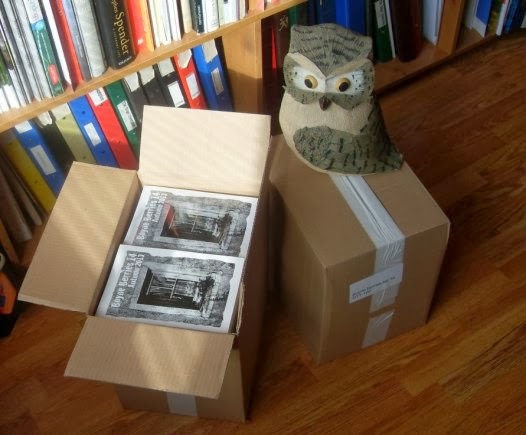 There have been times, twice I think, when copies of our magazine Boyne Berries were collected from the printers on the afternoon of the launch - no fault of the printers. This time it's ready in plenty of time and boxes are in the office and in the boot of the car ready for the launch on next Thursday evening. It looks good and reads better - seventy two pages of prose and poetry from all parts of the country and also from the UK, USA, Canada and France. The cover is by Greg Hastings who has designed all our fourteen covers. This is the fourth in a series of photographs of windows in derelict Irish houses. Our guest editor, Kate Dempsey, has done a great job of selection and arranging the material. Among those whose work is included are Nessa O'Mahony, Breda Wall Ryan, Edward O'Dwyer, Patricia Byrne, Noel King and Dimitra Xidous. We are also delighted to include many lesser known writers, some gaining their first publication here. The launch is in the Castle Arch Hotel, Trim at 8pm on Thursday next 26 September 2013. The guest editor, Kate, will launch the issue and many of the contributors will be present and will read their contributions. All welcome, no entry charge. Looking forward to a great evening. Whether you wish to write a best-seller, take up a new hobby or write because you can't imagine not writing, the Irish Writers Centre have a course for you! All their courses are taught by published authors and stretch across several genres. They have classes for people who are picking up a pen for the first time and writers who are going through the hard slog of finishing and editing their work. This year they are hosting their first online course, taught by Nessa O'Mahony and focusing on creative writing for beginners. Nessa has a poem in Boyne Berries 14 which is being launched on Thursday 26 September in Trim. She is also reading and conducting a workshop at the Bailieborough Poetry Festival the following week-end. Other new additions include: a food writing course, Delicious Words, taught by Catherine Cleary; a poetry appreciation course, Reading The Great Tradition, with Harry Clifton; Introduction to Playwriting with Michelle Read; Crime Writing with Louise Phillips; Experimental Fiction with Dave Lordan; How to Self-publish and Sell Your eBook with Catherine Ryan Howard and a novel writing course for people who are part way through writing a novel, Lost The Plot?, with Niamh Boyce. Further details on the Centre's website. 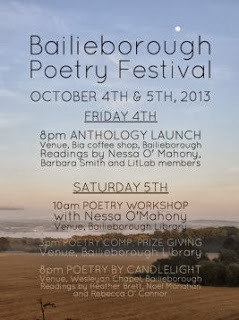 Full details are now online of the inaugural Bailieborough Poetry Festival which takes place on the weekend of 4 and 5 October this year. The organisers, LitLab group of writers, are hosting a weekend of readings, workshops, a poetry competition and launch of an anthology of the group’s work edited by Barbara Smith. Visiting poets will include, Nessa O’Mahony, Heather Brett, Rebecca O Connor and Noel Monahan. Venues include the town library in the old Market Square, Bia restaurant and the Wesleyan Church. In conjunction with the poetry festival there will be a quilt exhibition in the arts space of the library. A poetry competition is being held in conjunction with the festival and the quilt exhibition. I'm the judge for this and the shortlist will be announced on 30 September. Prizes will be presented and winning poems read on Saturday 5 October. I recently mentioned the Francis Ledwidge play, To One Dead, which was being staged in Dublin. Unfortunately I was unable to attend but I'm delighted that it was a great success and that there is talk of putting it on again soon. Well done Liam O'Meara and the Inchicore Ledwidge Society! 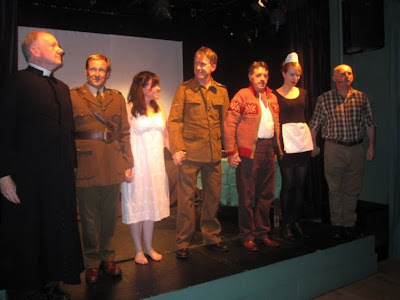 The Inchicore Ledwidge Society are pleased to announce that the play To One Dead, was a great success. After a hesitant first night, audience levels perked up from Tuesday, right through to Sunday, with full houses experienced on most nights. One aspect of the production which particularly delighted author Liam O’Meara was the awareness of the audience to the humour interspersed in the story: They got every witticism: dashes of humour were essential for light relief as it was a sad, indeed, tragic story. The cast were excellent, I wouldn't have changed one of them. 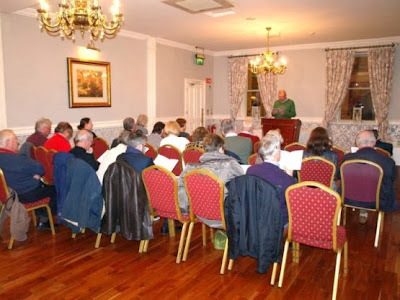 I am new to play writing and production; this has proved to be a wonderful adventure for me and the members of the Inchicore Ledwidge Society. I would like to give a special mention to Frank Allen for his superb direction and for his duel role as army-chaplain, Fr. Devas, the narrator. 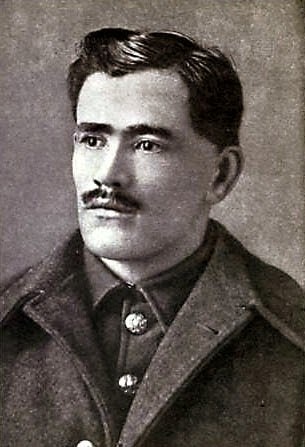 A lot of the Francis Ledwidge poems were interpreted in the unfolding of the tale. Quite a number of those attending had never before heard of this greatly overlooked poet of Meath and were much taken by the quality of his verse. Midweek, we had a group of people here from Slane who were, of course, well informed. They thoroughly enjoyed the show. To One Dead ended its run on Sunday 8 September, but such is the demand for its return, there may well be another showing in the coming months. 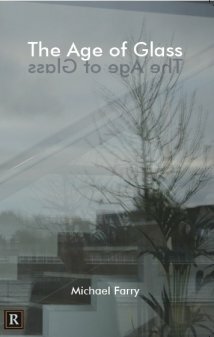 This exhibition, currently on in the Solstice Arts Centre, Navan, is well worth a visit. I'm not an expert but I was fascinated by the range of the work on display. It is difficult to know sometimes when Farrell is being humorous and when he is being bitterly satiric. Often the two are combined as in his Madonna Irelanda series. There are a number of his Miss O'Murphy series in the show. These were based on paintings by François Boucher for whom the model was Marie-Louise O’Murphy, later a courtesan and mistress to Louis XV. 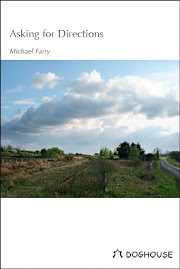 Many of his titles are poems in themselves An Incomplete History of Ireland for example. One of the works in the show has a title (with a small alteration) from Wilde's Ballad of Reading Jail: That little tent of blue that sometimes prisoners call the sky. The work above used on the poster and notices is one of Farrell's Presse series and uses newspaper headlines dealing with the Dublin bombings 1974. Micheal Farrell (1940-2000) was born in Kells, County Meath and is one of Ireland’s best-known artists. He won the Biennale des Jeunes Paris Laureat in 1967 and the Douglas Hyde Gold Medal in 1976. This retrospective highlights the scope of Farrell’s skill. 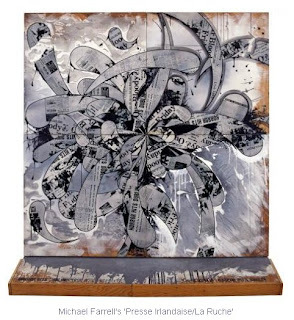 Produced by Solstice, this exhibition will then tour to Crawford Art Gallery and the RHA. Aidan Dunne in the Irish Times on the exhibition. Meath Chronicle report of the exhibition opening. 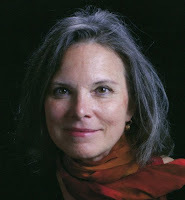 The Academy of American Poets has just announced its annual series of poetry prizes. This year, the organization has awarded over $200,000 to poets at various stages of their careers. I'm delighted to see that Carolyn Forché has won a major award. I was one of about ten poets who attended a workshop facilitated by Carolyn at the Cork Poetry Festival earlier this year and found her a gracious and most engaged and effective communicator. She also did an outstanding reading at the festival. 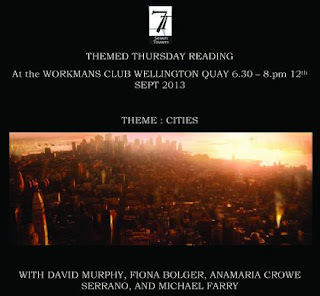 Every Second Thursday of the month at the Workmans Club, Wellington Quay, Dublin, Seven Towers holds a special themed reading. In this reading four writers/poets read on a specific theme for five to seven minutes. This Month the Theme is Cities. I'm one of this month's readers. The others are David Murphy, Fióna Bolger and Anna Maria Crowe Serrano. After the featured readers there will be a short open mic. So come along with your prose or poem on the theme - widely interpreted. David Murphy is a Cork born, Dublin based, award winning Science Fiction Writer. 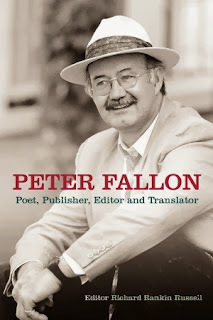 He is co-founder of Irish fiction magazine, Albedo One, and has published two novels, Akron Chronicles and Longevity City and a collection of short stories Lost Notes. Fíona Bolger's poetry has appeared in many journals including Southword, The Chattahoochee Review, Brown Critique, Can-Can, The Poetry Bus, and Outburst. 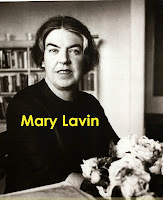 She is a member of the Dublin Writers' Forum and Airfield Writers. Her collection The Geometry of Love between the Elements has recently been published. Anamaria Crowe Serrano's publications include Paso Doble (Empiria, Rome, 2006), co-written with Italian poet Annamaria Ferramosca as an experimental poetic dialogue; a collection of short stories, Dall’altra parte (Leconte, Rome, 2003) and a one act play, The Interpreter (Delta3 Edizioni, 2003). Her first full length collection, Femispheres was published by Shearsman, UK, in 2008. I'm looking forward to this! Workmans Club, Wellington Quay, Dublin. Thursday 12 September. 6.30pm. I attended the launch of the the Father and Son: Selected Poems, at Higginsbrook House, Trim, Co. Meath. This is a handsome volume published by Arlen House with an introduction by Joe Woods, former Director of Poetry Ireland. Higginsbrook House is a fine Georgian house in which F.R. Higgins spent many summers. The house was used in the films Becoming Jane and Northanger Abbey in 2007. A most enjoyable celebration of the poet with interesting contributions by local historian Noel French and Aidan Gray of Higginsbrook, a relative of the author. There were a number of fine readings of poems from the volume and English poet, P.J. 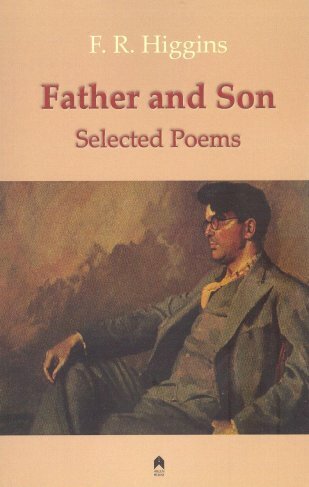 Kavanagh, had the honour of reading Higgins' best known poem, Father and Son. He did it with style. P.J. Kavanagh is a most interesting writer. He knows Irish writers well, having written Voices in Ireland: A Traveller's Literary Companion in 1994. We talked about T.H. White who had lived near Trim for a while during World War II, Francis Ledwidge and also the Gloucester poet, Ivor Gurney, whose Collected Poems Kavanagh edited in 2004. Guardian Review here. The Mayfly Hotel, Foxford, Co. Mayo – Tuesday 10th September from 7pm. Arlen House in partnership with Poetry Ireland and the author’s relatives are celebrating the poetry of F.R. Higgins with the publication of his Father and Son: Selected Poems, to be launched in September in Dublin, Meath and Mayo. Father and Son also serves to honour Dardis Clarke (1939-2013) who championed Higgins’ work – Dardis’s father was the famous poet Austin Clarke who was a close friend of F.R. Higgins. Frederick Robert Higgins (1896-1941) was born in Foxford, Co. Mayo, he spent summers with his relatives in Higginsbrook, Co. Meath, and much of his working life in Dublin where he reached the position of Managing Director of the Abbey Theatre. Four of his books were published, Island Blood; The Dark Breed; Arable Holdings and The Gap of Brightness. In the 1930s he became a great friend of W.B. Yeats and worked with him on several poetry projects. 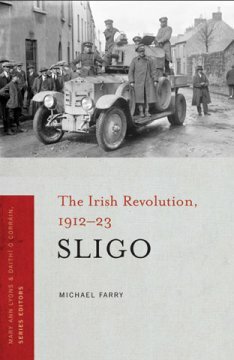 Dardis Clarke and Aidan Gray, a relative of the author from Higginsbrook, Meath, worked together to compile this volume. 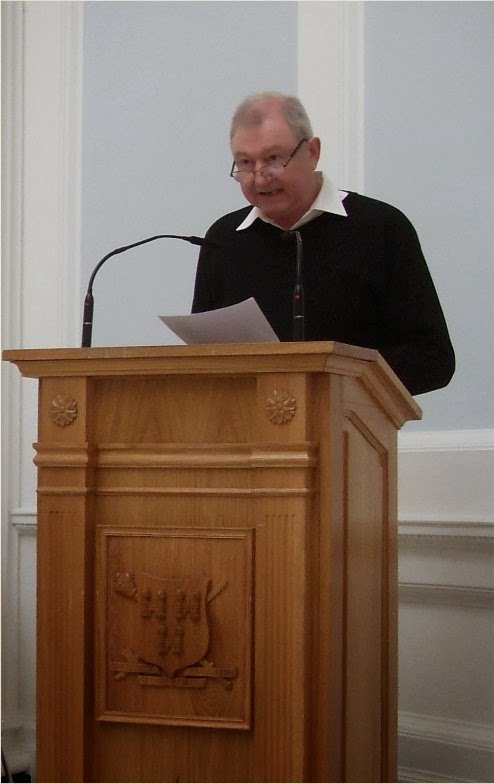 Joseph Woods, poet and former director of Poetry Ireland, has written a stimulating introduction honouring both F.R. Higgins and Dardis Clarke. Higginsbrook House, Trim, Co. Meath – Sunday 8th September from 4pm. The Mayfly Hotel, Foxford main street, Co. Mayo – Tuesday 10th September from 7pm. 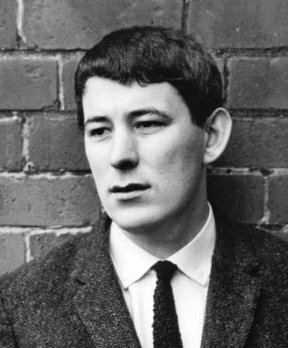 My first awareness of Seamus Heaney was sitting with my mother watching a Late Late programme in the late 60s on which a small number of young Irish poets each read one poem. Seamus Heaney read Mid-Term Break. I wasn't aware of any special interest my mother had in poetry but she listened attentively and said at the end "Ah, his little brother was killed in an accident". She didn't know it but the brother's name was Christopher. She herself had lost a little brother called Christopher many years before and later a son of the same name. Seamus Heaney reads Mid-Term Break at the National Gallery. Years later I attended a reading in Dublin by Heaney and Dutch poet Rutger Kopland (1934-2012). Heaney spoke about memories and poetry and I wrote this poem afterwards. where past is always present”. I first saw him read. first published in Revival magazine January 2007. 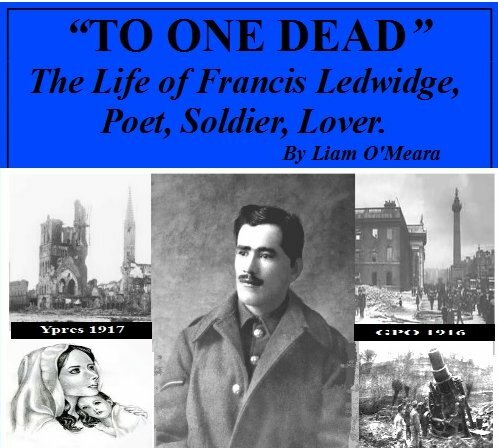 The life and death of Meath poet Francis Ledwidge continues to fascinate. His involvement with the political movements of the day, labour and the Irish Volunteers, together with his enlisting in the British Army and his death on the battlefield of France, makes him an enigmatic character. He is sometimes caricatured as a "peasant poet" but he is much more than that. Liam O'Meara is one of those who has done most to ensure that Ledwidge is not forgotten and that his stature as a poet is recognized. This staging of Liam's drama should be well worth seeing. To One Dead, The Life of Francis Ledwidge, Poet, Soldier, Lover by Liam O'Meara in The Pearse Theatre, 27 Pearse Street Dublin 2. Monday 2nd to Sunday 8th September 2013. 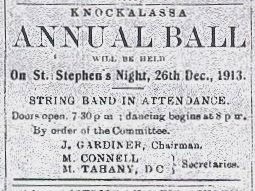 Featuring Frank Allen, Glenn Gannon, Ken Fletcher, Natasha Duffy, Niamh Kavanagh, John Smyth, Tomás Gleeson. I'm delighted to have an article in this year's Corran Herald. 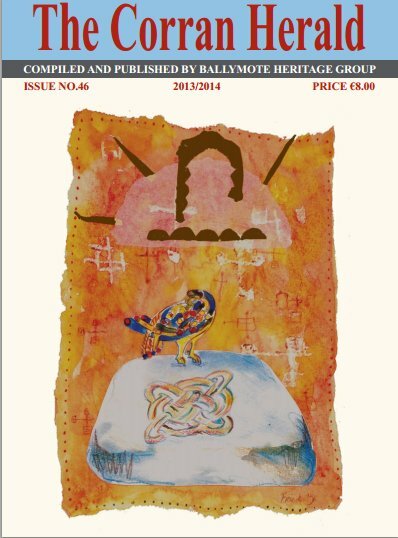 This annual publication has been produced and published by Ballymote Heritage Group since 1985. This group, founded in May 1984, has continued to devote itself to its stated aim of raising awareness of all matters of heritage and in particular promoting knowledge of and interest in all aspects of local history, archaeology, culture, folklore and all the many things that make up the unique character of any given area. They meet monthly and since 1990 have organised a Heritage Weekend each August Bank Holiday. The Ballymote Heritage Weekend continues to attract audiences from near and far and has been widely praised for the high quality of its lectures and outings. While researching Sligo The Irish Revolution 1912-23 I came across lots of wonderful incidents and material which either didn't get into the book or were included in an abbreviated form. So it's great to be able to write a fuller account and have it published in such a local publication. My article in the Corran Herald is entitled A strange thing happened on the way to the dance and deals with the meeting of IRA officer Michael J. Marren, O/C Ballymote Battalion, and Major E.S.C. Grune, O/C Sligo Troops, 1st Battalion, Bedfordshire and Hertfordshire Regiment, as a result of a train hold-up in south Sligo on 26 May 1920. I was lucky to find an account of the incident which Grune wrote soon afterwards. He was impressed by the efficiency and armament of the IRA who held up the train, disarmed the soldiers on board and traveled with them to the next stop where the IRA got off, allowing the British proceed to Boyle. Grune was on his way to a dance at the barracks in Boyle. Grune's account is included in Capt. A. L. Dunnill's A summary of events during the period in which the 1st Battalion Bedfordshire & Hertfordshire Regiment was stationed in Ireland, 1920, 1921, 1922, in Bedfordshire and Luton Archives and Records Service, Bedford, UK. This is a marvelous account of that period from the British Army's point of view. 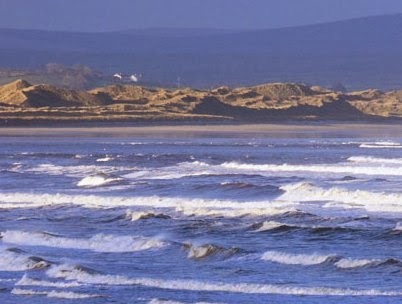 Marren accidentally drowned at Strandhill the day after the truce in 1921 while Grune served in Palestine later, retired in 1937, served in the RAF Reserve during the second world war and died in 1960. Four Courts Press have just launched their new range of eBooks. Their eBook list will initially consist of ten titles, with more to be added in 2014. These will include some classic Four Courts Press titles such as the bestselling Murders at Wildgoose Lodge and Edward Daly’s Mister are you a priest? as well as the recently published memoirs of John Hewitt. I'm thrilled that my book Sligo 1912-23: The Irish Revolution is also among the first ten issued as eBooks. They will be accessible on a variety of devices including Kindle, iPhone, iPad, Nook and Sony eReader. See the Four Courts Press website for details and purchasing. ‘This is a new and thrilling venture for Four Courts Press and we are excited to be taking our first steps into this vibrant market for our books.’ Anthony Tierney, Marketing Manager at Four Courts Press said. I was included in this excellent publication a couple of year ago and have a soft spot for them since. The Aesthetica Creative Writing Competition offers both existing and aspiring writers the chance to showcase their work to a wider, international audience. Now in its sixth year, the competition celebrates and nurtures creative talent, inviting writers to submit imaginative and original work in either category for entry: Poetry or Short Fiction. 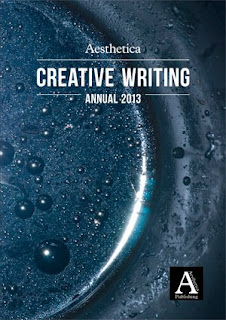 Prizes include £500 prize money, publication in the Aesthetica Creative Writing Annual and a selection of books from partner organisations. Submissions previously published elsewhere are accepted. Deadline 31 August. The Aesthetica Art Prize offers budding and established artists a platform to present their work to new and exciting audiences. In this celebration of visual art, artists are invited to submit imaginative and innovative work that pushes the boundaries of their chosen medium. Prizes include up to £1000 in cash, a group exhibition to take place in York in the UK spring 2014, six months studio space, six mentoring sessions and editorial coverage in Aesthetica Magazine, which has a readership of 140,000 worldwide. Windows Publications Extravaganza 21st National Student Poetry Awards will be held in association with Cavan Arts Office & Culture Weekend on Sunday 22nd September 2013 in the Cavan Crystal Hotel, Dublin Road, Cavan. This will include a Poetry Master Class by Noel Monahan from 12-2pm. Noel is a multi-award winning poet and playwright has an MA in Creative Writing, five collections of poetry and has read extensively in America, London and throughout Ireland. Two participants will be chosen to read their work at Windows 21st National Poetry Awards Ceremony at 5pm on the same day in Cavan Crystal Hotel. Workshop costs €40 (includes coffee) and places are limited so please book before 6th September. All enquiries and booking to 0870534737. 21st National Student Poetry Awards will take place on the same day at the same venue at 5pm. Guest speaker will be Jack Keyes, Cavan County Manager. Guest poet Terry Mc Donagh (Hamburg). Art exhibition with international artists James Brady (Monaghan), Elena Duff (Berlin) and Anne Petersen (Galway).